HomeFeaturedShould Manchester United Invest €55M To Sign Ivan Perisic? Should Manchester United Invest €55M To Sign Ivan Perisic? Manchester United have been preparing for their return to the UEFA Champions League next season. And with that in mind, there is no doubt Jose Mourinho wants to improve the squad ahead of the upcoming transfer market. The Portuguese manager will do everything in his power to add quality players to the side, because that is the only way The Red Devils will be competitive on the European stage. And while the process has been a bit slow at times, “The Special One” is already grabbing headlines for his market movements. The team already secured the services of Victor Lindelöf to improve the defensive line. And there are advanced talks to land Alvaro Morata. 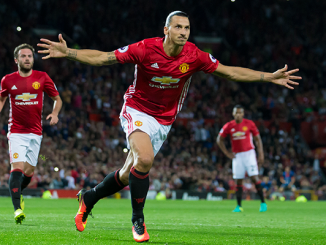 The Spanish striker is Mourinho’s top option to replace Zlatan Ibrahimovic, who left the side after just one season. But the rumour mill does not stop there. Raphäel Varane, James Rodriguez, Ivan Perisic and Gareth Bale have also been mentioned as potential targets. But if one name surprises, is the one of the Croatian winger who currently plays for Inter Milan. What Could Perisic Bring To Old Trafford? Where does he fit? First of all, let’s analyse who Perisic is. The 28-year-old winger has been playing the last few years for Inter Milan, and also registers stints with Wolfsburg, Borussia Dortmund, and Club Brugge, among others. He has been with Inter since the 2015-16 season, and has established himself as a regular in his two seasons with the Serie A giants. As if that was not enough, he also possesses international experience thanks to 56 caps with Croatia. His fit is quite obvious, because he has spent his entire career playing as a left winger. However, it is not clear why United would really need him. Juan Mata, Jesse Lingard, Henrikh Mkhitaryan and Anthony Martial can all play on that role. But the advantage of Perisic is that LW is his natural role. That is not the case of Mata, Lingard, or Martial. Perisic is coming off another strong year with Inter, tallying 11 goals and 11 assists in 36 Serie A appearances. It has been reported Inter would sell him for €55 million. Will United accept that, or will they try to lower the fee? Some experts have said Inter are asking too much money for his star winger. But who could blame them? After all, football is a business and we have seen transfer fees escalate quickly over the past 10 years. And if we think about it, €55M is not an exhorbitant amount of money for a transfer. Transfermarkt listed his value at €30M, so it makes sense Inter would want to gain something extra from the potential deal. Honestly, I do not see United paying that amount of money for Perisic. Inter certainly want to stand firm on their price tag, but if the player wants to leave, then things could change. And it has been previously reported that the Croatian winger is keen about a move to Old Trafford. There is no question Perisic would be a solid addition for Manchester United. He’s a natural left winger, and he has the traits to adjust to the Premier League. And if we realise he is only 28, then The Red Devils would get his best years in a potential four-year or five-year deal. But the transfer needs to be completed on a fair price. United are not in a position to spend a lot of money, especially when they already have other players who can fill his role. 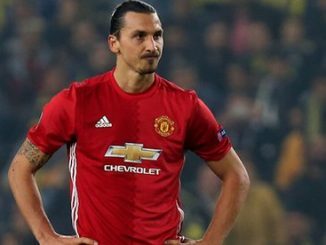 Zlatan Ibrahimovic Is Set To Leave Manchester United In Summer – What Next? 5 Comments on Should Manchester United Invest €55M To Sign Ivan Perisic? Inter are broke……….they need 25m in 2 weeks……and have not got it…..it’s a poker game and Inter are bluffing……………….we can get the Brazilian from Benfica for 1/3 the price………..we just walk away…….no one else will pay it……..they will change their stance then………It’s the art of the deal……….oh yes and do we need him if Ronaldo comes back. And he will be back………bad move Inter….bad move! Should have read……always ‘have been!